"I have a providential mission to fulfill. I think nothing will happen to me. If it does, I will have been mistaken." Graha are spaced in such a way that no graha occupies the 12th from any other. This single auspice protects the vitality in an orchestrated way. Graha in the 12th-from position usually drain the life force from those in the relative 2nd-from itself, but luckily in de Gaulle's nativity there is no Vimshottari bhukti in which the bhukti-pati occupies the 12th from its overlord. For Uttaraphalguni natives, the condition of radiant, romantic, intelligent, creative, idealistic, central, confident, gaming, self-reflexive, pitrikaraka Surya may considerably affect the outcome. Instructional guidance provided by emissaries from the civilizations of Denebola. Uttara-phalguni gentlemen are famously hot-headed. Simha pada-1 = radiant confidence, flamboyance, and remarkable intelligence. While much depends upon the characteristics of Surya, the Falgun birth of masculine valence favors dramatic displays of royalty, celebrity, and entitlement. 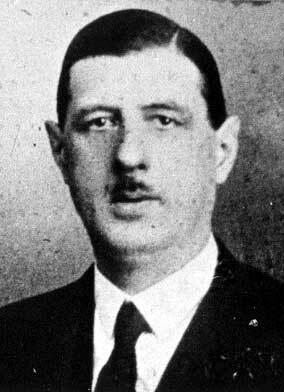 Dec-1918 following the WW-1 armistice, de Gaulle is released from prisoner-of-war camp. * Ketu-Mangala bhukti * Mangala rules 8-rejuvenation + Kuja 8th drishti into Shani-12 forces opening of the prison-12. 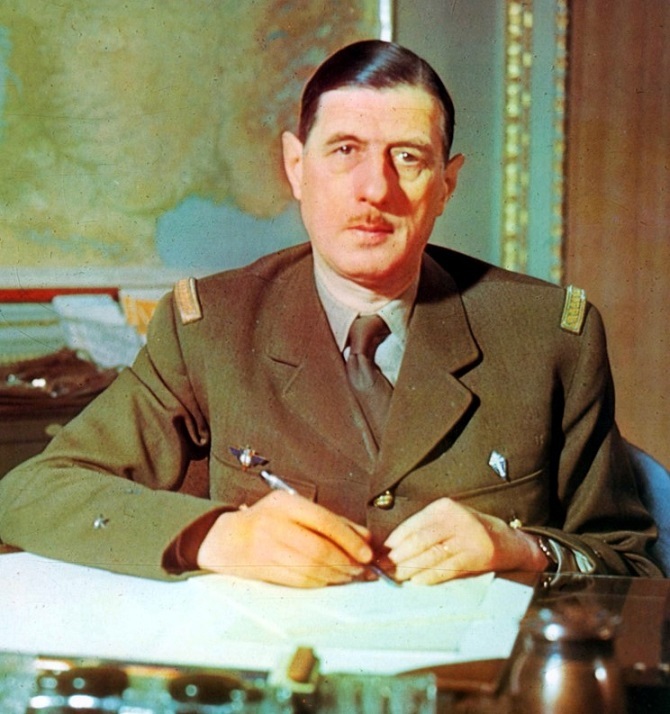 De Gaulle's father was a former military officer and an instructor (Surya-3) of philosophy and mathematics. He was a war veteran and an explainer of military history * Surya-Vrizchika-3 writers, instructors. The father was disaffected (Ketu) by the ruling regime, and became an agitator who publically criticized what he perceived to be a culturally and militarily weak France. His father blamed France's failures during the previous war upon a hidebound aristocracy. Ascribing the national debility to entrenched privileges and a culture of rigid formality, papa urged his young sons to consider the military as their destined career but also to understand that areas of military planning and instruction as a problem-ridden environment. Surya-yuti-Ketu * father disregards class distinctions. Chandra-7 occupies the frustrating unbalanced shad-ashtaka 6/8 angle from Simha-Shani-12. whatever he might do to champion (uttama-Mangala) the cause of France during the catastrophic days of near-capitulation during WW-2, de Gaulle would have been criticized by the politicians (whom he disliked in the extreme due to Shani-Simha). France-Pres 1890-1970 Mémoires de Guerre Charles de Gaulle displayed the classic Shani-Simha bundle of contradictions during WorldWar-2. De Gaulle believed in the sovereignty of France (Simha) but he was obliged to accept the harsh reality (Shani) of the Nazi government. 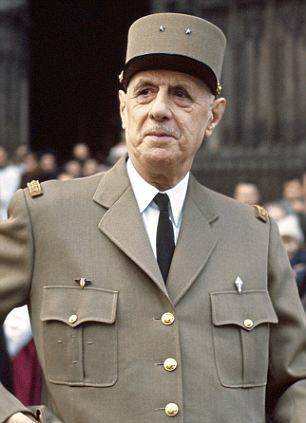 UK-PM Finest Hour 1874-1965 Winston Churchill remarked that as desperate for support as de Gaulle should have been in this situation, in fact de Gaulle insulted and alienated nearly everyone who could have been of help to him, almost as a matter of personal principle. Shani-Simha in 6th-from-Chandra-7 partnerships caused de Gaulle's political adversaries to label him as a bully and a hypocrite. However his enemies (6) could ultimately not harm him due to protection of Shani-12 providing a protective Harsha Yoga . France-Pres 1890-1970 Mémoires de Guerre Charles de Gaulle had a powerful navamsha Rahu-Karkata-6 (war) along with radical Chandra-7 in 4th-from-4th, suggesting a deeply embedded military ambition to provide protection, defense of the homeland and its culture . Yet de Gaulle was not completely enamored of that home culture especially its aristocratic elitism, per radical Shani-Simha-12. Uttama-Rahu is weakened in de Gaulle's by a strictly structured drishti from Shani-Simha-12 suggesting that most of the expedient Rahu-desires were suppressed by Shani's governance lawfulness. Typically of Rahu's rise-and-fall patterns, de Gaulle's leadership success very much fluctuated . 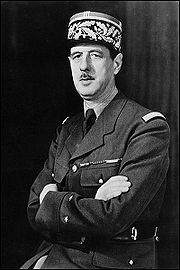 Although he was well-educated with a strong foundation for his profession (yogakaraka Shani) and he wrote important books in military science, the military career of France-Pres 1890-1970 Mémoires de Guerre Charles de Gaulle born in 1890 was unsettled and contentious until about 1941. His books were read more appreciatively by the Germans and generally criticized by his own French colleagues. Then he turned 50 during Zukra-Budha bhukti, for Budha lagnesha and Budha karmesha, and his career truly began. It was 1940, WW-2 was battering the French people, and the rigid formalities of the old military order had collapsed. His executive commands were suddenly obeyed by many who once dismissed his ideas as frivolous. Although he remained a somewhat controversial figure nevertheless de Gaulle attained a long presidency of France and was hailed internationally as a great hero of the times. the remarkable cluster of Vrizchika graha in 9th-from-Chandra also represents de Gaulle's beloved third daughter Anne de Gaulle, who was born with Down Syndrome (Ketu) and died of pneumonia age 20.
from Mar-1916 until Nov-1918, de Gaulle was immobilized in an officers' prison camp within the German territory. He suffered five failed escape attempts (Ketu), wrote an important book (3) and conducted discussions (3) with many fellow (3) officers including members of the French, Russian, and German militaries. (De Gaulle was literate in German and read the German newspapers reporting war stories). Conversation-Cohort members included the future leader of the Red Army serving in the same prison camp. 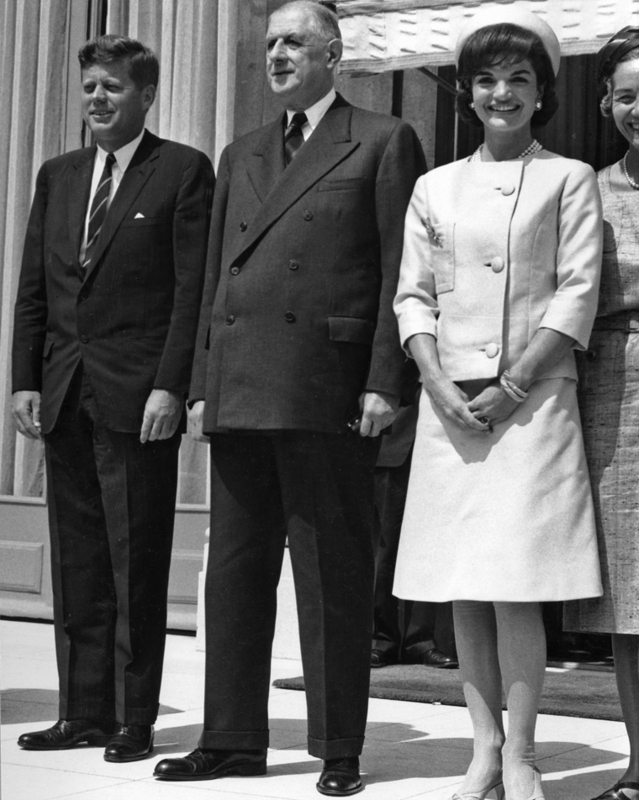 ++ POTUS-pair-35 editor 1929-1994 Jacqueline Kennedy Onassis ++ Madame Yvonne de Gaulle.